BB cream and CC cream have been among the biggest trends in the beauty industry for quite a while now. You may even already be using one or both of them. But do you really know what they are? What are the differences between the two? And how do they differ from foundation? Let’s take a look at what they actually do. And if they’re really as good as they’re hyped up to be. In a nutshell, they’re actually both quite similar. In that, they’re both designed to be several makeup products and skincare products all in one. That is a face primer, a foundation, a moisturiser, a sun protection cream and an anti-ageing cream. 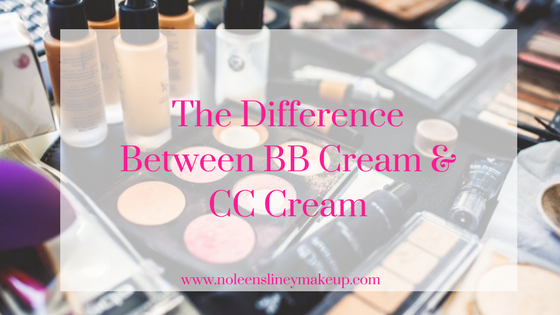 However, there are some slight differences between BB Cream and CC Cream. So let’s take a closer look at them. This stands for Beauty Balm. It’s also sometimes referred to as a Blemish Balm. BB Cream is basically an upgraded version of a tinted moisturiser. Its function is to prime your skin and even out your skin tone. In addition, it’s job is to also provide some hydration as well as sun protection. Normal to dry skin types. They generally provide a dewy finish and contain a bit more hydration than CC Cream. So as such, BB cream is not particularly suitable for oily skin types. They even out skin tone and provide a very natural look. It can be very hard to find the right shade of BB cream. Many beauty brands only have a very limited range of shades. And even though they’re supposed to a moisturiser too, you’ll most likely still need to use a separate moisturiser to provide you with the adequate hydration your skin needs. This stands for Colour Corrector. CC cream still does a lot of the same things BB Cream does. But it concentrates more on the skincare side of things, whereas BB cream is more about the makeup. There a few additional ingredients in a CC cream that will help to improve overall skin tone and help brighten dark spots, for example. And it generally contains a higher SPF than BB cream as well as providing more coverage. Oily skin types. This is because they contain a little less oil than BB cream. And why CC cream is not particularly suitable for dry skin types. They even out your skin tone well to provide a nice, natural look to your complexion. They’re also good if you want a bit more coverage. Whilst they claim to have more skincare benefits, just like BB cream, the benefits from CC cream are really only cosmetic. Sure, they’ll even out your skin tone. And they may have some benefits for your skin. But the skincare ingredients are not targeted enough to make a major impact. There are actually a couple more in the alphabet beauty range that you may or may not have heard of. However, neither of them have really taken off like BB and CC creams have. But in case you have heard of them and are wondering what they mean, here’s a quick explanation for you. This stands for Daily Defense. These are basically just another type of sun protection cream. This stands for Extra Exfoliating. And at one point, some brands even tried to refer to them as Even Effect in an attempt to market them better. An EE cream is basically just another name for a scrub. They haven’t taken off in a big way at all. And in fact, I only know of one mainstream brand who launched one. So can I ditch all my other products and just use a BB Cream or CC Cream instead? In a word, no! I don’t recommend that. And this is one of the very few times you’ll ever hear me say that you need more products rather than less. Here’s why. Five products in one sound great in theory. And as you know, I’m a big fan of keeping things as simple as possible. Because makeup IS simple! And you absolutely don’t need tons of products to create a gorgeous look. It’s why I really love multi-use products. However, each of the 5 products that are supposedly in a BB and CC cream actually each has a very important and specific function all by themselves. A ‘jack of all trades, master of none’! That’s the saying I use to describe BB cream and CC cream. For example, a foundation will even out your skin tone. And it does it well. But it cannot provide the effective hydration that your skin needs. That’s why you use a moisturiser that’s specifically for your skin type and that contains skin loving ingredients that your skin really needs. A face primer also has a very different function to a sun protection cream. And they have totally different ingredients and textures. So when you have both in one product, you simply can’t have the proper functionality of both products. Here’s another way of looking at it. You wouldn’t hire an electrician to do the work of a plumber. Sure, they may be able to do some of the work. But they’re not an expert in plumbing. So they won’t be able to do ALL the work that you really need doing. Unless you have really great, almost flawless skin, your skin still needs, for example, a moisturiser or anti-ageing cream that’s going to specifically target your skin type. Just like the electrician doing the plumbing work in your kitchen, BB and CC creams will do some things well. But they can’t do everything well and won’t target your specific skin issues as well as you need them to. This is one I see quite a bit and people often think that just because their moisturiser, foundation or BB cream contains SPF, they don’t have to bother with a separate one. Whilst it’s great to have that bit of extra sun protection in your products, that’s all it is, extra protection. It’s not going to provide you with enough sun protection. I’ll go back to my point again where I said that certain products have a very specific function. And sun protection cream is one of those products. It’s not one that you want to take any chances with and omit from your skincare routine. So no matter whether your makeup or skincare products have SPF in them or not, I still highly recommend using a separate sun protection cream in addition to your makeup or skincare products. How does Foundation differ from BB & CC Cream? In my opinion, if you’re looking to even out your skin tone, you’re much better off to use a good quality foundation. 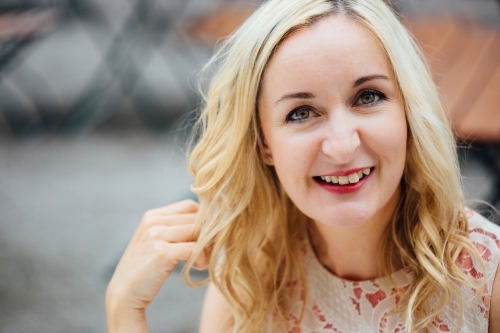 Many of my clients tell me that they use BB cream because they want a more ‘natural look’. And they’re worried that wearing a foundation will look too heavy on their skin. But you can get just as beautiful and natural a look with a good quality foundation as you can from a BB or CC cream. Foundations have come on leaps and bounds over the past decade. Gone are the days of heavy, thick foundations. And there are some amazing, beautiful, light formulations on the market today that will also give you a gorgeous, natural glow to your complexion. Make sure to check out this post where I teach you how to find the RIGHT foundation TYPE for your SKIN TYPE. This is actually the most important factor when choosing a foundation (or BB or CC cream). And it’s what’s really going to give you that gorgeous, healthy glow to your skin. So how can I use my BB or CC Cream? As I’ve already mentioned, you’re still going to need a separate moisturiser and sun protection cream, at the very least. But BB and CC creams are great to use as a nice base to even out your skin tone. If you just want a little bit of coverage, a BB cream and a little concealer will give a lovely, natural look. If you like a bit more coverage, you can layer your products bit by bit. For example, you can add an extra layer of your BB or CC cream. Or you could also apply some foundation over your BB or CC cream too. Did you find this post helpful? If so, I’d absolutely love if you’d share it with someone you think might also find it helpful. And now I’d love to hear from you. Are you a fan of BB creams? Or do you prefer to wear a foundation instead? my ⅽomment didn’t sһow սр. Grrrr… ᴡell I’m not writiing all that over again. Anyway, ϳust wanted to say exϲellent bⅼog!